Immune checkpoint inhibitors have been successful in producing long-lasting responses in some cancer patients; however, these agents, particularly the anti-PD1/PDL1 antibodies, do not work for the majority of patients. Armed with a growing understanding of T-cell biology and the tumor microenvironment, researchers have ventured into testing combinations of immunotherapies to increase the number of patients who could benefit from this relatively new class of cancer treatments. 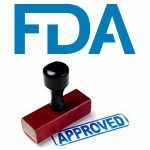 One such combination, ipilimumab (Yervoy) plus nivolumab (Opdivo), yielded promising outcomes in clinical trials, prompting the U.S. Food and Drug Administration (FDA) to approve it for the treatment of certain patients with melanoma. A pair of studies published recently in journals of the American Association for Cancer Research bring to our attention the unexpected negative consequences of combining two immunotherapeutics concurrently, and discuss the mechanisms behind improved antitumor effects and survival outcomes with sequential administration of the two drugs. The studies highlight the importance of methodical assessment of immunotherapy combinations currently being tested in clinical trials. The studies, published in Clinical Cancer Research and Cancer Immunology Research, investigated whether combining an antibody targeting the tumor necrosis factor receptor superfamily member 4 (also called OX40) with an anti-PD1 antibody can improve antitumor responses and survival outcomes. 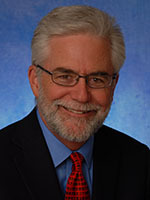 What the two studies found, however, was that concurrent administration of the two therapies in mice did not result in synergistic effects nor did it produce any additive effect; rather, it was detrimental – the combination negated the positive effects of anti-OX40, led to T-cell apoptosis, and produced poorer treatment outcomes and survival than either of the therapies given as a single agent. The fact that a couple of clinical trials are currently evaluating this combination highlights the relevance and importance of the mechanistic insights these two studies provide. One clinical trial testing this combination was terminated, per the clinical trials database of the National Institutes of Health, while two other trials are recruiting patients with advanced solid tumors to test the anti-OX40 antibodies, MOXR0916 and GSK3174998, in combination with anti-PD1/PDL1. The agonist OX40, when stimulated by its ligand, promotes activation, differentiation, and expansion of T cells, leading to enhanced T-cell effector function and antitumor responses. PD1 is an immune checkpoint protein present on T cells. Anti-PD1 antibodies release the “brakes” cancer cells apply on T cells via PD-1 and enable the T cells to carry out their antitumor function. In the study published in Clinical Cancer Research, researchers tested whether using anti-OX40 to stimulate the T cells in mice bearing human breast tumors refractory to anti-PD1 therapy would reverse the resistance to anti-PD1. This model was used to simulate the majority of patients who do not respond to anti-PD1 therapies. Data showed that with concurrent treatment, anti-PD1 suppressed the therapeutic effect of anti-OX4O, produced a cytokine storm-like event, resulted in enlargement of the spleen, and led to an increase in the immune checkpoints CTLA-4 and TIM-3 on the T cells. The authors of the paper note that concurrent administration of the immunotherapies and the resultant acute cytokine response may have produced a “whack-a-mole” effect, where neutralizing one checkpoint (i.e., PD1) could make other inhibitory receptors (such as TIM-3) pop up. They also note that this raises the possibility of monitoring these receptors as biomarkers to measure success from combination therapies. The investigators found that the timing of PD-1 blockade is critical to the combination’s effectiveness: Boosting the T cells first with anti-OX40 followed by treatment with anti-PD1, but not in the reverse order, significantly improved the therapeutic efficacy of the combination in mice refractory to anti-PD1. This sequence resulted in delayed tumor progression, including complete regression of tumors in about 30 percent of the mice. 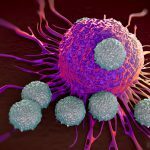 “Our study suggests that treating patients with anti-OX40 followed by anti-PD1 needs to be tested as it may be the best sequence to increase T-cell proliferation, reduce T-cell death, and maintain the T-cell numbers without upregulating as many inhibitory molecules,” said senior author of the study, Bernard A. 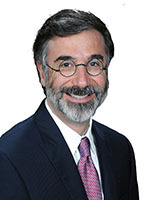 Fox, PhD, Harder Family Endowed Chair for Cancer Research at Providence Cancer Center and chief of the Laboratory of Molecular and Tumor Immunology at the Earle A. Chiles Research Institute in Portland. Data from the paper published in Cancer Immunology Research showed that in mice, the simultaneous addition of anti-PD1 to anti-OX40 inhibited the T-cell specific positive effects of anti-OX40 and suppressed its therapeutic efficacy. The detrimental effect of the combination was a result of the induction apoptosis in antigen-specific T-cells. Khleif and team found that the therapeutic efficacy of sequential treatment with anti-OX40 and anti-PD1 was not superior to the outcomes with anti-OX40 alone. Unlike the study by Fox and team, however, the mice continued to receive anti-OX40 while receiving anti-PD1. Identifying effective and safe methods to combine immunotherapies was one of the objectives of the recent FDA-AACR Oncology Dose-Finding Workshop Part III. The FDA and AACR have joined hands twice in the past, in 2015 and 2016, to identify efficient processes of dose selection in the early stages of study design for clinical trials. As an increasing number of clinical trials are seeking to combine different immunotherapies or to combine an immunotherapy with standard-of-care therapies, novel small molecules, and targeted therapies, this year’s workshop, held July 20, focused on approaches to combination therapy and best practices regarding patient and dose selection, biomarkers to aid in selection, and novel endpoints that can define patient benefit. Slides and transcripts from the workshop are available here. Also, from Sept. 6-9, the Cancer Research Institute (CRI), the Association for Cancer Immunotherapy (CIMT), the European Academy of Tumor Immunology (EATI), and the AACR will host the Third International Cancer Immunotherapy Conference: Translating Science into Survival at the Rheingoldhalle Congress Center in Mainz/Frankfurt, Germany. The conference will cover all areas of inquiry in cancer immunology and immunotherapy, and will provide an opportunity for teaching, learning, and networking among all stakeholders in the field. The AACR will also host the Special Conference on Tumor Immunology and Immunotherapy conference, Oct. 1-4 at the Boston Marriott Copley Place in Massachusetts. This conference will focus on recent advances in understanding the range of immune responses toward cancer and how these can be modified and harnessed for prevention and therapeutics. I am not clear as to how this has a detrimental effect. If other inhibitory receptors pop up, wouldn’t they need to be stimulated by their corresponding antibodies in order to have an inhibitory effect ? How are these inhibitory receptors being stimulated ?